Ocean Marina Yacht Club celebrated its 17th birthday on the weekend of January 14-15 by holding the first of what is planned to be a prestigious monthly international sailing competition. Before the action on the water got under way however, 9 Buddhist monks were invited down to the marina to accept alms and also to perform a blessing ceremony to bestow good luck and prosperity on both the Ocean Marina resort and its staff. 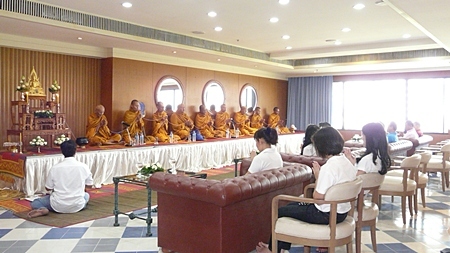 Monks give their blessing to the Ocean Marina Yacht Club and its staff on the occasion of its 17th anniversary. 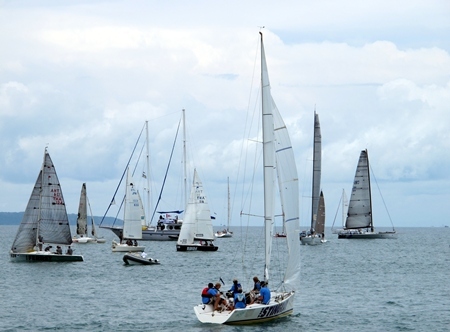 Out in the bay, the sailors representing Scotland, Thailand, Malaysia, China and Japan were keen to get underway and vie for the title of being the inaugural winners of this new sailing event – the Ocean Marina Anniversary Regatta. 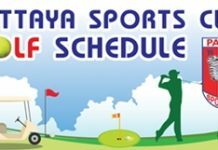 The race series is planned to be held on the second Saturday of each month. 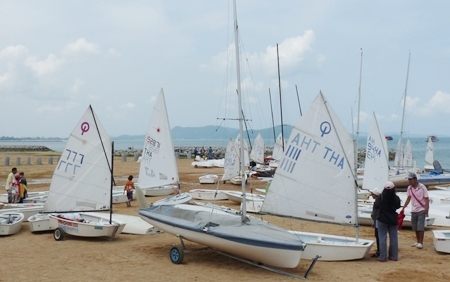 The fleet assembles at the start line for the inaugural Ocean Marina Anniversary Regatta. The four race classes include Racing Keelboats, Cruising Monohulls and Multihulls, Racing Multihulls, Platus and Sportsboats. 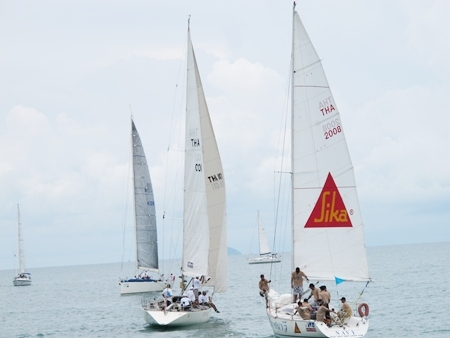 To qualify for the overall club championship in each of the classes, a yacht must sail in a minimum of five regattas out of the 11 scheduled events. 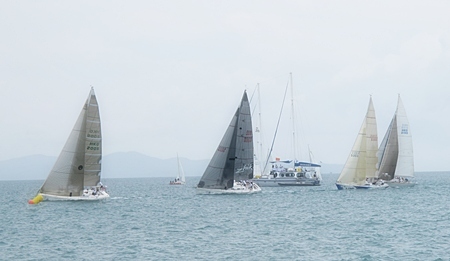 Three discards will be allowed and the best eight results from qualifying yachts will be totalled. At the end of the season, points will be recalculated for each regatta, using the results of qualifying yachts only, to determine the club champion in each class. Later on the Saturday evening, Jan 14, a festive party was held to welcome the sailors who took part in this first race series event and also to celebrate the start of the 18th year cycle of this high class maritime facility and hotel resort.